This survey shows the distribution of adults who were served in the public mental health system in Texas in 2015, by age and employment. 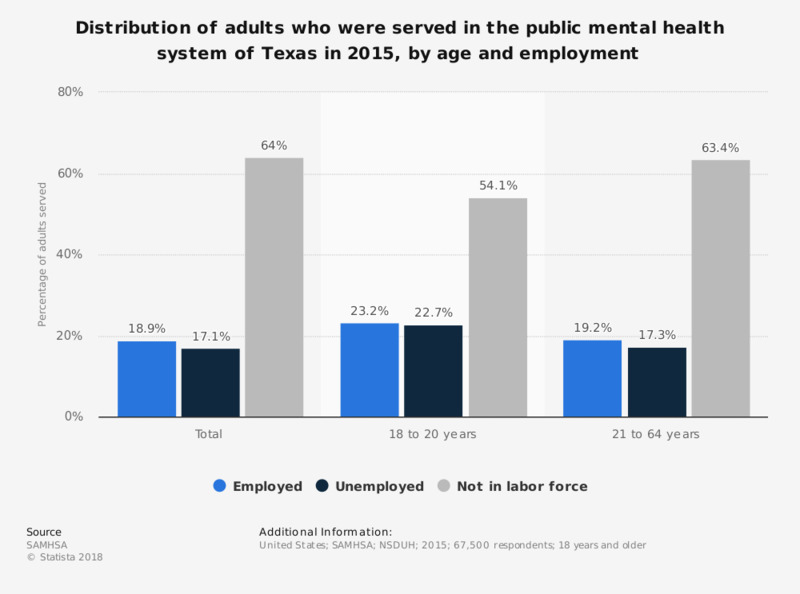 Among adults who were served in Texas' public mental health system in that year, 64 percent were not in the labor force. Not in labor force is defined as those who did not have a job and who were not looking for a job. Examples could include those who were students, retired, disabled, or not working due to family responsibilities. Note that mental health consumers aged 65 or older are not included because they are of retirement age.